The 1955 Golden Days Edition of the Fairbanks Daily News Miner described John 'Johnny' McGinn as "one of the smartest mining lawyers in the business". McGinn was a perennial snow bird for more than 50 years, regularly commuting from his winter home in San Mateo, California and his summer office residence at the Nordale Hotel in Fairbanks, Alaska, where he conducted mining law, and explored mineral development opportunities in the Alaska Territory and Yukon, Canada. John L. McGinn was born in Portland, Oregon on February 26th, 1871 to Charles and Anna nee Hill McGinn, and was formally educated in law, earning a law degree from the University of Oregon (Eugene) in 1893. From 1894 to 1898, he formed a law partnership with his older brother, the former U.S. Senator Henry E. McGinn, who later served as a judge in the Fourth Judicial District in Oregon. John and brother Henry practiced law together for five years. In 1898, at the outbreak of the Spanish-American War, John L. McGinn went to the Philippines with the Second Oregon Regiment and served his country with distinction during his 13 month tour, participating in twenty-two engagements and skirmishes. After his honorable discharge, he practiced law in the Philippines from June to November, 1899. McGinn returned to Portland in January, 1900, and in the spring of that year, sailed to Nome, Alaska, participating in that gold rush. For a time, he prospected and mined gold on Saturday Creek near Nome. On October 15th, 1900, McGinn was appointed assistant United States District attorney in Nome. On July 12th, 1901, he was placed in charge of that office during the tenor of Judge James Wickersham, the Chief Presiding Officer of the 2nd Judicial District. For a time, McGinn served the district in Dutch Harbor. While in Nome, McGinn secured the conviction of a murderer named Hardy, the first man ever hanged in Nome, Alaska. He also prosecuted several individuals during the published riots of Nome. "His evidence is presented with the skill and precision of a military commander and his arguments are strong, logical, and convincing. He always follows the course dictated by conscience and honor." McGinn married Elsa S. Searing in Nome on April 20th, 1904 and then moved to Fairbanks in 1905. 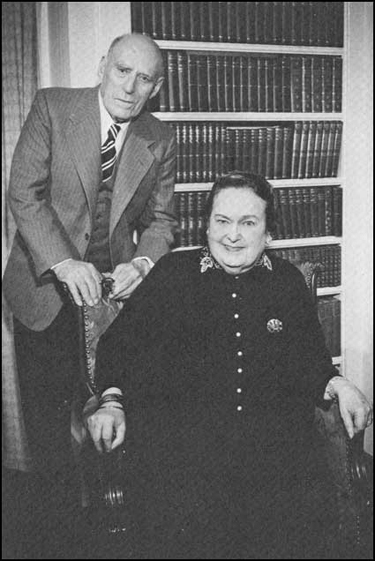 He fathered Laura Edith (Mrs. Thomas Relly Smith) and John W. McGinn. Son John attended the University of Santa Clara in California while daughter Laura Edith studied medicine at Washington State University in Pullman. Elsa Searing McGinn was the daughter of noted 19th Century American author and poet, Laura C. Redden Searing (1840-1923). Laura Redden lost her hearing at age 12 as a result of a bout with spinal meningitis, and was enrolled in 1855 by her family into the Institute for the Deaf and Dumb in Missouri. After leaving that institution in 1858, Laura Redden published poems and articles in numerous outlets, including the St. Louis Republican, Harpers Magazine, the New York Times, and New York Sun under the penname Howard Glyndon. She studied and published in Spanish, French, German, and Italian as well as in English. Her 1862 book, Notable Men, a collection of biographies of Members of Congress before the Civil War, was a well-used reference of the day. During the Civil War, it was said that her book of poems Idylls of Battle, was carried onto the battlefield by Union soldiers. Laura published short accounts on Civil War battles during the conflict, and was so well respected for accuracy that she became personal friends of Generals U.S. Grant and W.S. Garfield, Samuel Clemens, and the 16th President of the United States, Abraham Lincoln. After the Civil War, Laura briefly studied under Alexander Graham Bell in 1870 and continued to publish poetry (i.e., Sounds of Secret Chambers in 1873), traveled to Cuba, the American West and New Orleans, and eventually married to a prominent New York lawyer, Edward Searing in 1876, with whom, she had one daughter, Elsa. But Laura divorced Edward in 1889, and the family was left destitute. After her daughter Elsa married John McGinn (her second marriage), Laura Redden Searing moved to Fairbanks, and stayed with the McGinns in Alaska for a number of years, before moving to California with Elsa and John, who eventually established a permanent, winter residence in San Mateo County. 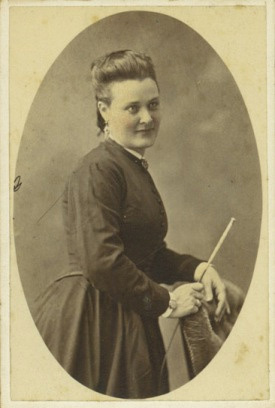 Nineteenth Century American poet Laura C. Redden, circa 1871. Photo from Ellis Library, University of Missouri. John L. McGinn's legal practice in Fairbanks was primarily focused on mining and sometimes he actively engaged in mining himself. While in Fairbanks, McGinn quickly developed the reputation for being the best mining attorney in the then booming camp. He represented dozens of small to large operators in disputes ranging from claim jumping to claim consolidations, and in many regions of the Territory, including the Iditarod, Nome, Wiseman, Innoko, and Ruby districts, in addition to Fairbanks. One relationship, however, that John McGinn would later regret was his close ties with Captain E.T. Barnette. The acknowledged father of Fairbanks and a true con man, Barnette chose John McGinn to be his legal counsel "on all matters" because he was widely regarded as "the sharpest lawyer in Alaska". E.T. Barnette also knew John's older brother Henry, also a well regarded lawyer in Oregon, but not under such friendly circumstances. John's brother Henry had prosecuted Barnette in the States more than 20 years earlier, which resulted in jail time for E.T. Barnette owned the Fairbanks Banking Company in Fairbanks, where many gold miners kept their gold dust and paper transactions. The Fairbanks district had reached an all time gold production high in 1909 of about 460,000 ounces gold, but by 1910, gold production began to decline. Then Barnette bought the Washington-Alaska Bank from businessman Falcon Joslin during the summer of 1910, who was only too eager to sell, sensing that the camp would soon decline in gold output. In October, 1910, Barnette suddenly resigned as President of Washington-Alaska Bank and withdrew an estimated $700,000 from the bank and invested it in California and Mexico ventures. The bank then folded on January 11th, 1911, and never opened it's doors again. Small customers in Fairbanks lost more than $1 million and larger investors lost more. After several attempts were made to recover funds, E.T. Barnette and his wife Isabelle skipped town on March 27th, 1911 and never returned to Fairbanks. 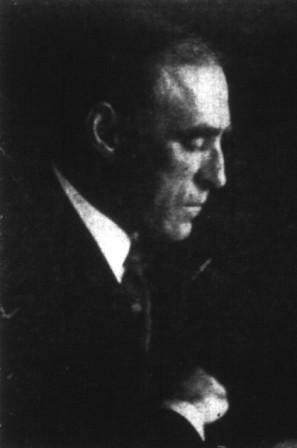 In November, 1911, E.T. Barnette was arrested in Los Angeles, California on charges of bank embezzlement, but after being released in bail, was never successfully prosecuted. On January 12th, 1913, a group of angry female citizens, organized by a woman attorney, Aline Baskerville, staged a dramatic conflagration on the frozen banks of the Chena River at Cushman Street, where they burned three effigies representing John L. McGinn, John A. Clark (another lawyer), and the last simply labeled "Justice". Hundreds of Fairbanksans turned out to cheer on the women's vengeful event. But McGinn and Clark were respected lawyers, and some thought the demonstration should not have defamed their names. In any event, the First Territorial Legislature did react quickly by enacting the Territorial Banking Act of 1913, which put all Alaska Banks under Territorial regulations. McGinn's association with E.T. Barnette did not end his mining and legal career in Alaska. After the 1913 conflagration, many friends came to McGinn's aid, including Frank Manley, E.J. Ives, Thomas P. Aitken, Sam Bonnifield, and M.L. Sullivan-all reputable operators and influential men in the Interior Alaska mining scene. He also had the strong support of James Wickersham. McGinn participated in the Chisana gold stampede in the northern Wrangell Mountains of 1914-16. Shortly afterwards, he, along with Frank G. Manley, E.J. Ives, and Jack Price, known as the 'Big Four From Fairbanks', bought the Silver King silver mine near Mayo, Central Yukon Territory, Canada, from Alaska Mining Hall of Famer Thomas P. Aitken for $500,000. McGinn's share of the purchase was $110,000. The Silver King was originally located by Harry McWhorter of Fairbanks in 1913, who sold out to Aitken and left for the Iditarod and Ruby districts in Alaska. During 1914 and 1915, Aitken successfully mined nearly 3,500 tons of ore averaging about 250 ounces/ ton silver and made a healthy profit off the operation. The 'Big Four' did not encounter the success that Tom Aitken did at Silver King, and eventually abandoned their operation. However, the early success of the Silver King mine drew the attention of the mining world, including Livingstone Wernecke and the Treadwell Yukon Gold Company, originally from Juneau, Alaska. By the mid-1920s, what became known as the Keno Hill Mining district was destined to become one of the largest primary silver producers in Canada, and produced high grade silver-lead-zinc ores nearly continuously until 1989. In 2006, a new company, Alexco Resources Corporation, acquired the Keno Hill Camp with the intention of mining the high grade silver lodes again, and have plans to explore and develop the Silver King Mine. McGinn's gold-mining activities were not confined just to Alaska. In 1916, he financed a 1,400 foot long drift into a buried placer paystreak on the Stanislaus River, near Sonora, Toulume County, California, with long-time Alaska partner E.J. Ives. Early reports had values of up to $75/pan in gold at $20.67/ounce, and McGinn and Ives did find a new gold-bearing channel not known to the California mining fraternity. The 'If I Can' mine did produce gold for several years although not at the levels hoped for by the McGinn-Ives partnership. During the 1920s, McGinn's trips to Alaska were somewhat infrequent. He focused on the development of oil and gas deposits near Bakersfield, California with long time friend and Alaska Mining colleague Frank G. Manley. McGinn operated the partnership under the name 'Manley and McGinn, Inc.', at Fellows, California. John also became a corporate attorney for a number of small oil and gas companies based in Bakersfield throughout the 1920s-1940s. His son, John McGinn Jr., worked in the California oil fields and eventually took over the Manley and McGinn, Inc. business. "I'm beginning to believe that Ester Dome in the Fairbanks district is one of the best mineralized zones in the world��I think so well of it that I'm coming back to my old love, Alaska, because she offers some of the best opportunities in the world right now." McGinn's crews would mine the Mohawk on a small scale continuously until World War II. The Mohawk was known for years as the 'Henderson-McGinn' mine. Although not a large operation, the Mohawk was probably the most successful mining venture that McGinn engaged in during his long years in Alaska. In 1936, McGinn became very active in developing a dredge field on the Seward Peninsula. An April 4th, 1936 account published in the Fairbanks Daily News Miner indicates that McGinn and Sam Godfrey, a well-known Fairbanks investor, secured capital from Tacoma and San Francisco sources to build a floating, bucketline dredge on Midnight Creek, a tributary of the Kougorok River. The gold dredge was producing gold by the end of the 1936 season. McGinn maintained a home in San Mateo, California, but during the mining season was always in residence with other pioneers at the Nordale Hotel in Fairbanks. Because he was involved in several complex mining ventures in Alaska and oil and gas developments in California, it made a good deal of sense to split his time between Alaska and California. In addition to the need to raise mining investment funds from State-side sources, he would spend a considerable amount of time in San Francisco attending to Alaska legal cases before the Circuit Court of Appeals. "One of the brightest stars in California's constellation of women." John McGinn offered his own services to philanthropic efforts. He was a member of the Pioneers of Alaska, the V.F.W., and Elks, and considered without question one of Alaska's leading mining pioneers. At the age of 87, John Labbe 'Johnny' McGinn died in San Mateo, California on November 3, 1959 after a brief illness. Clarke, S.J., 1928, History of San Mateo County, California, Volume II: Chicago, Illinois, 255 pages. Cole, Dermot, 1999, Fairbanks-A Gold Rush Town That Beat the Odds: Epicenter Press, Fairbanks and Seattle, 224 pages. Cole, Terrence, 1984, E.T. Barnette, The Strange Story of the Man Who Founded Fairbanks, Alaska: Alaska Northwest Publishing Company, Anchorage, 163 pages. Unauthored, 2006, Searing, Laura Redden (1839-1923) Papers, 1846-1963 (C2290): State Historical Society of Missouri, National Women and Media Collection: 16 page summary listing of citable references and archived documents. Unauthored, 2000, 'Whos Who Among the Women of California', page 600. Unauthored, 1936, 'New Dredging Plants Likely, Says McGinn': Fairbanks Daily News Miner, April 4th, 1936. Unauthored, 1908, McGinn and Sullivan are Together Again: Fairbanks Daily Times, September 27th, 1908. Unauthored, 1940, J. L. McGinn Back Here for a Season: Fairbanks Daily News Miner, May 5th, 1940. Unauthored, 1916, 'Big Four' are now Owners of Aitken Mine: Fairbanks Daily Times, May 19th, 1916. Unauthored, 1930, New Development Strikes Keynote of Progress in Alaska, Says John McGinn: Fairbanks Daily News Miner, October 23rd, 1930.